HD DVD (short for High Definition Digital Versatile Disc) is a discontinued high-density optical disc format for storing data and playback of high-definition video. Supported principally by Toshiba, HD DVD was envisioned to be the successor to the standard DVD format. On 19 February 2008, after a protracted format war with rival Blu-ray, Toshiba abandoned the format, announcing it would no longer manufacture HD DVD players and drives. The HD DVD Promotion Group was dissolved on March 28, 2008. The HD DVD physical disc specifications (but not the codecs) were still in use[when?] as the basis for the China Blue High-definition Disc (CBHD) formerly called CH-DVD. Because all variants except 3× DVD and HD REC employed a blue laser with a shorter wavelength, HD DVD stored about 3.2 times as much data per layer as its predecessor (maximum capacity: 15 GB per layer compared to 4.7 GB per layer). 1.7 Warner Blu-ray Disc replacements in the U.S. In the late 1990s, commercial HDTV sets started to enter a larger market, but there was no inexpensive way to record or play back HD content. JVC's D-VHS and Sony's HDCAM formats could store that amount of data, but were neither popular nor well-known. It was well known that using lasers with shorter wavelengths would yield optical storage with higher density. Shuji Nakamura invented practical blue laser diodes, but a lengthy patent lawsuit delayed commercial introduction. Sony started two projects applying the new diodes: UDO (Ultra Density Optical) and DVR Blue together with Philips, a format of rewritable discs which would eventually become Blu-ray Disc (more specifically, BD-RE) and later on with Pioneer a format of read only discs (BD-ROM). The two formats share several technologies (such as the AV codecs and the laser diode). In February 2002, the project was officially announced as Blu-ray Disc, and the Blu-ray Disc Association was founded by the nine initial members. The DVD Forum (chaired by Sony) was deeply split over whether to go with the more expensive blue lasers or not. Although today's Blu-ray Discs appear virtually identical to a standard DVD, when the Blu-ray Discs were initially developed they required a protective caddy to avoid mis-handling by the consumer (early CD-Rs also featured a protective caddy for the same purpose.) The Blu-ray Disc prototype's caddy was both expensive and physically different from DVD, posing several problems. 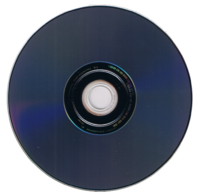 In March 2002, the forum voted to approve a proposal endorsed by Warner Bros. and other motion picture studios that involved compressing HD content onto dual-layer DVD-9 discs. In spite of this decision, the DVD Forum's Steering Committee announced in April that it was pursuing its own blue-laser high-definition solution. In August, Toshiba and NEC announced their competing standard Advanced Optical Disc. It was adopted by the DVD forum and renamed to HD DVD the next year. The HD DVD Promotion Group was a group of manufacturers and media studios formed to exchange thoughts and ideas to help promote the format worldwide. Its members comprised Toshiba as the Chair Company and Secretary, Memory-Tech Corporation and NEC as Vice-Chair companies, and Sanyo Electric as Auditors; there were 61 general members and 72 associate members in total. The HD DVD promotion group was officially dissolved on March 28, 2008, following Toshiba's announcement on February 19, 2008 that it would no longer develop or manufacture HD DVD players and drives. Much like the VHS vs. Betamax videotape format war during the late 1970s and early 1980s, HD DVD was competing with a rival format—in this case, Blu-ray Disc. In 2008, major content manufacturers and key retailers began withdrawing their support for the format. In an attempt to avoid a costly format war, the Blu-ray Disc Association and DVD Forum attempted to negotiate a compromise in early 2005. One of the issues was that Blu-ray Disc companies wanted to use a Java-based platform for interactivity (BD-J based on Sun Microsystems' Java TV standards), while HD DVD companies wanted to use Microsoft's "iHD" (which became HDi). Another problem was the physical formats of the discs themselves. The negotiations proceeded slowly and ultimately stalled. On August 22, 2005, the Blu-ray Disc Association and DVD Forum announced that the negotiations to unify their standards had failed. Rumors surfaced that talks had stalled; publicly, the same reasons of physical format incompatibility were cited. By the end of September that year, Microsoft and Intel jointly announced their support for HD DVD. Hewlett-Packard (HP) attempted to broker a compromise between the Blu-ray Disc Association and Microsoft by demanding that Blu-ray Disc use Microsoft's HDi instead of BD-J and threatening to support HD DVD instead. The Blu-ray Disc Association did not agree to HP's demands. In November 2006, Microsoft released an HD DVD player for their Xbox 360 game console for $199. It came packaged with King Kong and could only play movies. On March 31, 2006, Toshiba released their first consumer-based HD DVD player in Japan at ¥110,000 (US$934). HD DVD was released in the United States on April 18, 2006, with players priced at $499 and $799. The first HD DVD titles were released on April 18, 2006. They were The Last Samurai, Million Dollar Baby, and The Phantom of the Opera by Warner Home Video and Serenity by Universal Studios. The first independent HD film released on HD DVD was One Six Right. In December 2006 Toshiba reported that roughly 120,000 Toshiba branded HD DVD players had been sold in the United States, along with 150,000 HD DVD add-on units for the Xbox 360. On April 17, 2007, one year after the first HD DVD titles were released, the HD DVD group reported that they had sold 100,000 dedicated HD DVD units in the United States. In the middle of 2007, the first HD DVD Recorders were released in Japan. In November 2007, the Toshiba HD-A2 was the first high definition player to be sold at a sale price of less than US$100; this was done through several major retailers to make room for the new HD-A3 models. These closeout sales lasted less than a day each due to both limited quantities and high demand at that price point. In the same month, the HD DVD promotion group announced that 750,000 HD DVD players had been sold, which included stand-alone players and the Xbox 360 add-on. In January 2008 Toshiba announced that close to one million dedicated HD DVD players had been sold. On January 4, 2008, citing consumer confusion and indifference as a reason for lackluster high-definition software sales, Warner Bros. publicly announced it would stop supporting HD DVD by June 2008, and the company would release HD titles only on Blu-ray Disc. This was followed by news of Netflix phasing out support for the format, and Best Buy's decision to recommend Blu-ray Disc over HD DVD in its retail locations and to remove HD DVD players as part of its ongoing "HDTV advantage" promotion. Finally, retailer Wal-Mart announced that it would be supporting only Blu-ray Disc by June 2008. On February 19, 2008, Toshiba announced plans to discontinue development, marketing and manufacturing of HD DVD players while still providing product support and after-sale service to consumers of the format (including firmware updates). The company cited "recent major changes in the market". Shipments of HD DVD machines to retailers were reduced and eventually stopped by the end of March 2008. Toshiba later revealed that they lost about $986 million on the format's failure. The final HD DVD releases in the United States from a major studio were Paramount's Into the Wild, Warner's P.S. I Love You and Twister, on May 27, 2008. In June, the final HD DVD to be released was Freedom: 6 from Bandai Visual. Bandai Visual acknowledged the demise of HD DVD, but stated that it wanted to complete the release of the seven-part Freedom Project, of which six parts were released. The seventh part, due for August 2008, never saw a release. Disco Pigs was announced but postponed, with no new date ever announced for release. Pan's Labyrinth is also notable for being New Line Cinema's only film to ever be released on HD DVD, as they quickly shifted to Blu-ray. Death Proof was released on HD DVD format by Senator Films in Germany on December 15, 2008. This special release was also a steelbook. On April 3, 2010, Engadget reported that Anthem Films would release the film Deadlands 2: Trapped on HD DVD in a limited run of 500 copies. This eventually happened in the form of HD DVD-Rs. Deadlands: The Rising announced on September 5, 2010 was released on HD DVD in limited numbers. As with the previously released Deadlands 2: Trapped, the film was pressed on HD DVD-R disc. Warner Blu-ray Disc replacements in the U.S. In mid-2009, Warner offered to replace any HD DVD Warner home video release with a Blu-ray Disc equivalent for $4.95, plus $6.95 shipping to the contiguous United States or $8.95 to Alaska, Hawaii or Puerto Rico. The deal required the HD DVD's original sleeve art to be returned to Warner as a proof of purchase. The turn-around time for processing was approximately two weeks. Multi-disc sets were exchangeable at a discount, e.g., $14.95 for the 5-disc Blade Runner release, rather than $24.75. No exchanges were offered to customers outside the United States. The current specification books for HD DVD are listed at the DVD FLLC website. HD DVD-ROM, HD DVD-R and HD DVD-RW have a single-layer capacity of 15 GB, and a dual-layer capacity of 30 GB. HD DVD-RAM has a single-layer capacity of 20 GB. Like the original DVD format, the data layer of an HD DVD is 0.6 mm below the surface to physically protect the data layer from damage. The numerical aperture of the optical pick-up head is 0.65, compared with 0.6 for DVD. All HD DVD players are backward compatible with DVD and CD. As with previous optical disc formats, HD DVD supports several file systems, such as ISO 9660 and Universal Disk Format (UDF). All HD DVD titles use UDF version 2.5 as the file system. In this file system, multiplexed audio and video streams are stored in EVO container format. The HD DVD format supports encoding in up to 24-bit/192 kHz for two channels, or up to eight channels of up to 24-bit/96 kHz encoding. All HD DVD players are required to decode uncompressed linear PCM, Dolby Digital AC-3, Dolby Digital EX, DTS, Dolby Digital Plus E-AC-3 and Dolby TrueHD. A secondary soundtrack, if present, can be stored in any of the aforementioned formats, or in one of the HD DVD optional codecs: DTS-HD High Resolution Audio and DTS-HD Master Audio. For the highest-fidelity audio experience, HD DVD offers content-producers the choice of LPCM, Dolby TrueHD and DTS-HD Master Audio. HD DVD video can be encoded using VC-1, H.264/MPEG-4 AVC, or H.262/MPEG-2 Part 2. [citation needed] A wide variety of resolutions are supported, from low-resolution CIF, all SDTV resolutions supported by DVD-Video, and HDTV formats: 720p, 1080i, and 1080p. All studio-released movie titles have featured video in a 1080-line format, with companion supplements in 480i or 480p. The vast majority of releases were encoded with VC-1, and most of the remaining titles encoded with H.264/MPEG-4 AVC. If a publisher wishes to restrict use of its HD DVD content, it may use the Advanced Access Content System (AACS) although this is not required for normal disc playback. AACS is a standard for content distribution and digital rights management. It is developed by AACS Licensing Administrator, LLC (AACS LA), a consortium that includes Disney, Intel, Microsoft, Panasonic, Warner Bros., IBM, Toshiba and Sony. One of the advantages over CSS, the content restriction system for DVDs, is that AACS allows content providers to revoke an individual player device model if its cryptographic keys have been compromised (meaning that it will not be able to decrypt subsequently released content). There is no Region Coding in the existing HD DVD specification, which means that titles from any country can be played in players in any other country. Since appearing in devices in 2006, several successful attacks have been made on the format. The first known attack relied on the trusted client problem. In addition, decryption keys have been extracted from a weakly protected player (WinDVD). Notably, a Processing Key was found that could be used to decrypt all HD content that had been released at the time. The processing key was widely published on the Internet after it was found and the AACS LA sent multiple DMCA takedown notices in the aim of censoring it. This caused trouble on some sites that rely on user-submitted content, like Digg and Wikipedia, when administrators tried to remove any mentions of the key. AACS has also been circumvented by SlySoft with their program AnyDVD HD, which allows users to watch HD DVD movies on non-HDCP-compliant PC hardware. Slysoft has stated that AnyDVD HD uses several different mechanisms to disable the encryption, and is not dependent on the use of a single compromised encryption key. Other AACS circumvention programs have become available, like DVDFab HD Decrypter. Backward compatibility is available with all HD DVD players, allowing users to have a single player to play all types of HD DVD, DVD and CD. There is also a hybrid HD DVD format which contains both DVD and HD DVD versions of the same movie on a single disc, providing a smooth transition for the studios in terms of publishing movies, and allowing consumers with only DVD players to still use the discs. DVD replication companies can continue using their current production equipment with only minor alterations when changing over to the format of HD DVD replication. Due to the structure of the single-lens optical head, both red and blue laser diodes can be used in smaller, more compact HD DVD players. HD DVD drives can also be used with a desktop/laptop personal computer (PC) running Windows XP, Windows Vista, Mac OS X v10.5 "Leopard", and many varieties of Linux. Third-party player software for Windows and Linux have successfully played HD DVD titles using the add-on drive. Released at the end of November 2006, the Microsoft HD DVD drive for the Xbox 360 game-console gives the Xbox 360 the ability to play HD DVD movies. The drive was announced with an MSRP of US$199 and includes a USB 2.0 cable for connection to the console. The first drives also included Peter Jackson's King Kong or Christopher Nolan's Batman Begins on HD DVD. The final "regular" for the drive was US$129.99 as of February 25, 2008. On February 23, 2008 Microsoft discontinued the Xbox 360 HD DVD player. On February 26, 2008, Microsoft "officially" announced that the Xbox 360 HD DVD add on drive would reflect a heavily discounted price down to $49.99. In 2007, LG and Samsung released standalone consumer players that could read both HD DVD and Blu-ray Discs. The machines were sold at premium prices, but failed to sell in large quantities. In May 2008, both companies announced they would stop manufacturing dual-compatibility drives. A few computer manufacturers (such as HP and Acer) sold computers with combination HD DVD/Blu-ray Disc drives. LG marketed a Blu-ray writer that also read HD DVD discs (but could not write to them). HD DVD competed primarily with Blu-ray Disc. Both formats were designed as successors to DVD, capable of higher quality video and audio playback, and of greater capacity when used to store video, audio, and computer data. Blu-ray Disc and HD DVD share most of the same methods of encoding media onto discs with each other, resulting in equivalent levels of audio and visual quality, but differ in other aspects such as interactive capabilities, internet integration, usage control and enforcement, and in which features were mandatory for players. The storage size also varies: A dual-layer HD DVD holds a maximum of 30 GB of data, while a dual-layer Blu-ray Disc carries 50 GB. Even after finalizing the HD DVD standard, engineers continued developing the technology. A 51 GB triple-layer spec was approved at the DVD Forums 40th Steering Committee Meeting (held on November 15, 2007). No movies had been scheduled for this disc type, and Toshiba had declined to say whether the 51 GB disc was compatible with existing drives and players. Specification 2.0 Part 1 (Physical Specification) for triple layer HD DVD had been approved in November 2007. At the CES 2007, Ritek revealed their high definition optical disc process that extended both competing high definition formats to ten layers, increasing capacity to 150 GB for HD DVD and 250 GB for Blu-ray Disc. A major obstacle to implementing this technology in either format (150 GB HD DVD will not be developed due to HD DVD's discontinuation) is that reader-writer technology available may not be able to support the additional data layers. NEC, Broadcom, Horizon Semiconductors, and STMicroelectronics have separately developed a single chip/laser that can read both the HD DVD and the Blu-ray Disc standard. Broadcom and STMicroelectronics will be selling their dual-format single chip/laser solution to any OEM willing to develop a product based on the chip. HD DVD-R is the writable disc variant of HD DVD, available with a single-layer capacity of 15 GB or a dual-layer capacity of 30 GB. Write speeds depend on drive speed, with a data rate of 36.55 Mbit/s (4.36 MB/s) and a recording time of 56 minutes for 1× media, and 73 Mbit/s (8.71 MB/s) and a recording time of 28 minutes for 2×. The Toshiba SD-L902A for notebooks was one of the first available HD DVD writers, although it was not meant for retail. Burning HD DVD (including Dual Layer) with a 1× write speed, it could also burn DVDs and CDs. In a test of the SD-L902A by C't computer magazine with Verbatim discs, the written HD DVD-Rs suffered from high noise levels, as a result, the written discs could not be recognized by the external HD DVD drive of the Xbox 360, though they could be read back by the SD-L902A. HD DVD-RW is the rewritable disc variant of HD DVD with equal storage capacity to an HD DVD-R. The primary advantage of HD DVD-RW over HD DVD-R is the ability to erase and rewrite to an HD DVD-RW disc, up to about 1,000 times before needing replacement, making them comparable with the CD-RW and DVD-RW standards. This is also of benefit if there are writing errors when recording data, as the disc is not ruined and can still store data by erasing the faulty data. HD DVD-RAM was the proposed successor to DVD-RAM for random access on optical media using phase-change principals. It would hold 20 gigabytes per layer instead of 15 gigabytes for HD DVD-R, due to differences in recording methods used, yielding a higher density disc. There are two types of hybrid formats which contain standard DVD-Video format video for playback in regular DVD players, and HD DVD video for playback in high definition on HD DVD players. The Combo disc is a dual sided disc with one side DVD and the other HD DVD, each of which can have up to two layers. The Twin disc is a single sided disc that can have up to three layers, with up to two layers dedicated to either DVD or HD DVD. These hybrid discs make retail marketing and shelf space management easier. Another advantage is hardware cross-compatibility. The average consumer does not have to worry about whether or not they can play a hybrid DVD: any standard home DVD player can access the DVD-encoded content and any HD DVD player can access both the DVD- and HD DVD-encoded content. Warner Bros. officially announced Total Hi Def (THD or Total HD) at CES 2007. THD hybrid discs were to support both HD DVD and Blu-ray Disc, with HD DVD on one side (up to two layers) and Blu-ray Disc on the other side (up to two layers). In November 2007, Warner Bros. cancelled THD's development. The HD DVD format also applies to current red laser DVDs; this type of disc is called "3× DVD", as it is capable of three times the bandwidth of regular DVD-Video. 3× DVDs are physically identical to normal DVDs. Although 3× DVDs provide the same high definition content, their playback time is less. For example, an 8.5 GB DVD can hold about 90 minutes of 1080p video encoded with VC-1 or AVC at an average bitrate of 12 Mbit/s, which corresponds with the average length of Hollywood feature-films. If quality is compromised slightly, and good compression techniques are used, most feature films could be encoded with 3× DVD. Due to its much greater resolution, HD-Video also has significantly more redundant information than DVD which newer compression standards can encode more efficiently. It is technically possible for consumers to create HD DVD compatible discs using low cost DVD-R or DVD+R media. At least one such guide exists. The 3× DVD is comparable to Blu-ray Disc BD5 and BD9 formats. HD Rec is an extension of the HD DVD format for recording HD content on regular red laser DVD-Rs/DVD-RWs using H.264/MPEG-4 AVC compression. It was approved by the DVD Forum on September 12, 2007 It is comparable to Blu-ray Disc's AVCREC. 1080p, high-definition resolution supported by HD DVD and Blu-ray Disc. LS-R—a "layer selection" technology designed to allow large numbers of data layers in one disc. ^ HD-DVD (High Definition Digital Versatile Disk) – blue laser optical disk. Retrieved 16 April 2015. ^ a b Moses, Asher (February 20, 2008). "No refunds for HD DVD early adopters". The Age. Melbourne. Retrieved 2008-02-24. ^ "Toshiba drops HD DVD". The Guardian. 19 February 2008. Retrieved 11 July 2015. ^ Evan Ramstad (April 8, 1998). "In HDTV Age, Successor to VCR Still Seems to Be a Long Way Off". online.wsj.com. Retrieved 2007-10-18. ^ Martyn Williams (August 12, 2002). "Opening the Door for New Storage Options". pcworld.com. Archived from the original on November 6, 2007. Retrieved 2007-10-18. ^ S.B. Luitjens (June 15, 2001). "Blue laser bolsters DTV storage, features". planetanalog.com. Archived from the original on July 1, 2002. Retrieved 2007-10-19. ^ Barry Fox (February 19, 2002). "Replacement for DVD unveiled". newscientist.com. Retrieved 2007-10-17. ^ "Next Generation DVD Born". bbc.co.uk. February 21, 2002. Retrieved 2007-11-04. ^ Junko Yoshida (March 1, 2002). "Picture's fuzzy for DVD". eetimes.com. Retrieved 2007-10-19. ^ Junko Yoshida (December 12, 2001). "Forum to weigh Microsoft's Corona as DVD encoder". eetimes.com. Retrieved 2007-10-19. ^ "Toshiba, NEC Share Details of Blue-Laser Storage". pcworld.com. August 29, 2002. Archived from the original on November 6, 2007. Retrieved 2007-10-18. ^ "DVD Forum backs Toshiba-NEC format". theinquirer.net. November 28, 2003. Archived from the original on June 21, 2007. Retrieved 2007-10-18. ^ "HD DVD Promotion Group". 2007. Archived from the original on 2006-10-31. Retrieved 2007-12-14. ^ "Member List - HD DVD Promotion Group". 2007. Archived from the original on 2008-02-12. Retrieved 2007-12-14. ^ Junko Yoshida (April 19, 2005). "Sides close to deal on HD disc format". eetasia.com. Archived from the original on November 26, 2007. Retrieved 2007-10-19. ^ a b Andy Patrizio (April 12, 2007). "Who Is Drawing Out The High-Def DVD Stalemate?". internetnews.com. Retrieved 2007-10-19. ^ Michiyo Nakamoto (May 17, 2005). "Sony-Toshiba DVD format talks stall". ft.com. Retrieved 2007-10-19. ^ "Sony, Toshiba fail to unify DVD format—report". forbes.com. August 22, 2005. Archived from the original on 2008-09-06. Retrieved 2007-10-19. ^ Cliff Edwards; Peter Burrows; Ronald Grover; Tom Lowry; Kenji Hall (October 17, 2005). "Daggers Drawn Over DVDs". businessweek.com. Archived from the original on November 6, 2007. Retrieved 2007-10-19. ^ Susan B. Shor (September 27, 2005). "Microsoft, Intel Back Toshiba's HD-DVD". ecommercetimes.com. Archived from the original on 2009-07-23. Retrieved 2007-10-19. ^ Ken Young (October 20, 2005). "HP calls for changes to Blu-ray". vnunet.com. Archived from the original on 2005-10-23. Retrieved 2007-10-19. ^ "Blu-Ray Won't Bow to HP's Demands". foxnews.com. November 17, 2005. Retrieved 2007-10-19. ^ "Toshiba HD DVD Player: First Release In Japan". Archived from the original on April 10, 2006. ^ a b Netherby, Jennifer; Susanne Ault (April 13, 2006). "HD DVD set to launch quietly". Video Business. Retrieved 2007-04-09. ^ "'Serenity' First Universal Title On HD DVD". ^ "HD DVD opens up early lead with standalone players, consoles different story". Ars Technica. January 15, 2007. Retrieved 2008-03-18. ^ "100,000 HD DVD CE players sold in the U.S." April 17, 2007. Archived from the original on June 30, 2013. Retrieved May 9, 2013. ^ "Toshiba's RD-A1 HD DVD recorder with 1TB disk". engadget. June 22, 2006. Retrieved 2007-08-05. ^ Raby, Mark (November 27, 2007). "HD DVD players pass 750,000 unit sales". TG Daily. Archived from the original on November 30, 2007. Retrieved December 19, 2007. ^ "HD DVD and Blu-ray releases". engadgetHD. ^ "Blu-ray Disc and HD DVD releases in Japan". AVWatch. Archived from the original on August 28, 2008. Retrieved 2008-02-19. ^ "Warner Bros. Entertainment to Release Its High-Definition DVD Titles Exclusively in the Blu-ray Disc Format Beginning Later This Year". ^ "Toshiba Announces Discontinuation of HD DVD Businesses". Toshiba Press Department. February 19, 2008. Retrieved 2008-02-19. ^ "BREAKING NEWS: Toshiba announces discontinuation of HD DVD businesses - DVDTOWN.com". Archived from the original on April 5, 2008. ^ "Toshiba faces $986 mln loss on HD DVDs". ^ "'Freedom: 6' Comes to HD DVD This June - High-Def Digest". hddvd.highdefdigest.com. ^ "HD DVD Disc Release Dates — High Def Digest". Retrieved 2008-06-26. ^ "Death Proof (German Import) — High Def Digest". Retrieved 2008-06-26. ^ "Deadlands 2 HD DVD rises from the grave". ^ "Deadlands 1 HD DVD Project - Early stages - YEP... Its happening". forums.highdefdigest.com. ^ "Upgrade Your Warner Bros. HD-DVDs for New Blu-Ray Discs". Red2Blu. Warner Bros. Entertainment Inc. Archived from the original on March 3, 2012. Retrieved December 21, 2017. ^ "DVD Book Construction". Retrieved 2008-12-06. ^ "HD DVD FAQ — Official HD DVD Site". Retrieved 2008-01-01. ^ a b "Requirements Specification for HD DVD Video Application" (PDF). Version 1.0. July 2005. Retrieved 2006-06-27. ^ Dressler, Roger; Craig Eggers. "Dolby Audio Coding for Future Entertainment Formats" (PDF). Archived from the original (PDF) on October 12, 2006. Retrieved 2007-04-09. ^ "Press Messages: AACS — Advanced Access Content System". Retrieved 2007-05-02. ^ "AACS licensor complains of posted key". Retrieved 2007-05-02. ^ Boutin, Paul (May 1, 2007). "Wikipedia Locks Out "The Number"". Wired. Retrieved 2007-05-02. ^ Greenberg, Andy (May 2, 2007). "Digg's DRM Revolt". Forbes. Archived from the original on 2007-05-04. Retrieved 2007-05-04. ^ "peer" (February 13, 2007). "Device key revokation". Archived from the original on September 27, 2007. Retrieved April 9, 2007. ^ "HD DVD Decryption". Archived from the original on April 5, 2007. Retrieved 2007-03-11. ^ "DVD Player: Plays HD DVD discs [sic] authored in DVD Studio Pro only". Apple. Retrieved 2007-12-12. ^ Microsoft Xbox 360 HD DVD Player Officially Discontinued, Gizmodo.com. ^ Kim, Yoo-chul (May 12, 2008). "Samsung, LG End Combo HD-DVD Lines". The Korea Times. Retrieved 2008-05-14. ^ "LG Burners & Drivers: External & Internal Backup - LG USA". www.lg.com. ^ "DVD Forum 40th Steering Committee Meeting (November 15, 2007)". ^ Team, CDRInfo.COM. "DVD Forum Approves "HD DVD China" Logo". www.cdrinfo.com. ^ Yam, Marcus (January 10, 2007). "Three HD Layers Today, Ten Tomorrow". DailyTech. Retrieved 2007-04-24. ^ "NEC unveils chip to bridge Blu-ray/HD DVD divide". Archived from the original on July 20, 2012. ^ a b "Universal HD DVD / Blu-ray players really on the way in 2007?". engadgetHD. November 7, 2006. Retrieved 2007-08-03. ^ "Verbatim/MKM Ready to Ship 30 GB Dual Layer HD DVD-R Media to North American Markets". Press Release. Verbatim. January 7, 2007. Archived from the original on September 28, 2007. Retrieved 2007-03-23. ^ Gieselmann, Hartmut Op een laag pitje in C't magazine December 2007 Dutch version page 74 "Het is niet eens de bedoeling dat de HD DVD brander SD-L902A apart verkocht gaat worden. Het beperkte aantal dat Toshiba ervan produceert, in in eerste instantie bedoeld voor de notebookserie Qosmio." "De foutwaarde PI Sum 4 had op dat moment al de grenswaarde van 1000 overschreden, vier keer zo hoog als toegestaan. Bij de single layer HD-DVD-R kwam deze met 559 fouten op het dubbele van de toegestane grenswaarde. Daarmee pakken de eerste brandresultaten van de HD DVD een stuk slechter uit dan van de eerste dvd- of Blu-ray-branders. We konden de discs in de SD-L902A weliswaar lezen, maar de externe HD DVD drives van de Xbox 360 herkende ze niet." ^ "New disc supports high capacities of both standard DVD and HD DVD on a single disc". Toshiba. Retrieved 2007-04-01. ^ "hd articles on Engadget". Engadget. ^ Clark, Joseph (July 30, 2006). "The Official AVS Guide to HD DVD Authoring". AV Science Forum. Retrieved 2007-04-09. ^ Martyn Williams (October 5, 2007). "New Chips Enable High-Def Recording on DVDs". pcworld.com. Retrieved 2007-10-18. ^ "DVD Forum Approves Recording of HD DVD Content on Red-laser Recordable Discs". cdrinfo.com. September 13, 2007. Retrieved 2007-10-18. ^ Perton, Marc (April 13, 2006). "Early HD DVD flicks to be 1080p". Engadget. Retrieved 2007-04-09.